MAC and their Legendary Lipsticks! 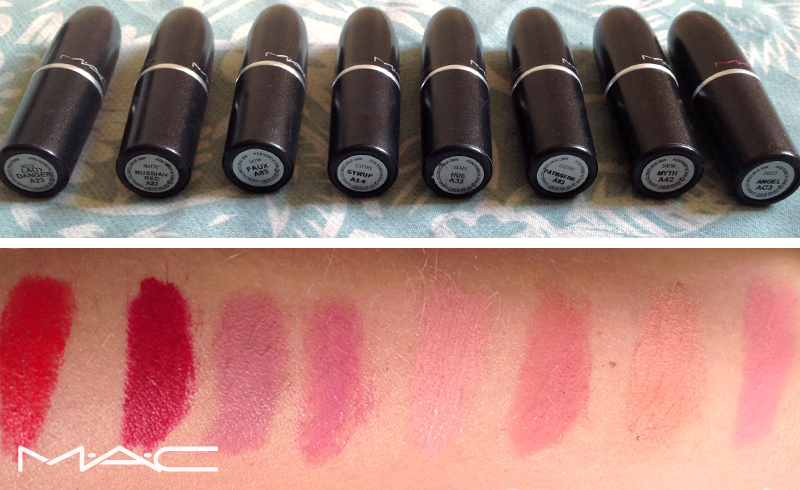 Here are some of Emma’s favourite MAC lipsticks. From reds, to pinks, to nudes! Russian Red (blue red) MATTE great for pale Irish skin tones!! MAC was launched onto the scene and made famous by its lipsticks. They not only drench the lips in rich, long lasting colour, but they also offer textures, from rich mattes to frost. Which is your favourite MAC lipstick?